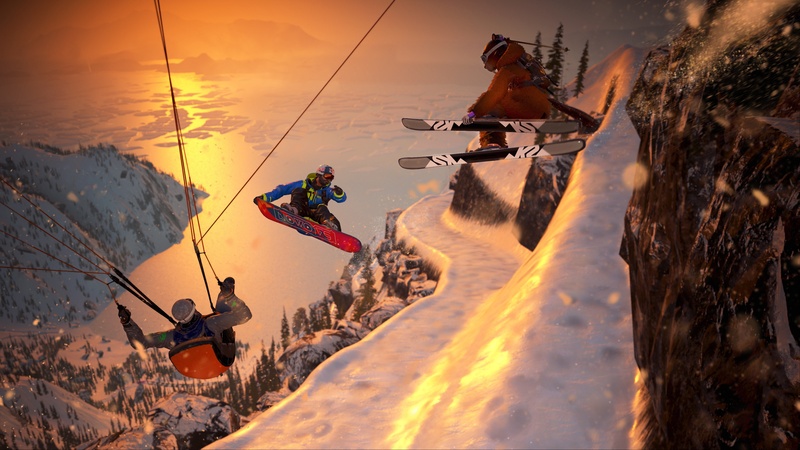 Steep players can now explore Alaska’s Mount Denali via the free content update supplied by Ubisoft yesterday. The update is available for Xbox One, PS4, and PC systems and comes fully loaded with 21 new challenges, 2 branded challenges, and one Mountain Story ready for players to tackle. The new terrain presents spine lines, extreme crests, massive glaciers, new urban features, and miles of natural landscape to explore and conquer. The Alaska region adds even more content to the massive open world we’ve been gliding through since release. Whether you choose to ski, snowboard, wingsuit, or paraglide through the world of Mount Denali, you can now show off all your feats using new camera angles and the ability to remove the HUD in replay videos. The update also brings a number of new bug fixes and patches. The camera has had a general overhaul to improve behaviour in tight areas, some minor improvements have been made to public challenges and a number of replay bugs have been patched up. Under the hood, this update brings a lot of smoothing over to gameplay experience in general, but most players will be more excited for the vast new terrains on offer. New Alaska items and costumes are up for grabs, with updates that improve the tricks system and g-force impacts. On top of all that, two additional invitationals will have players pushing themselves to the top of the leaderboards through all new challenges.